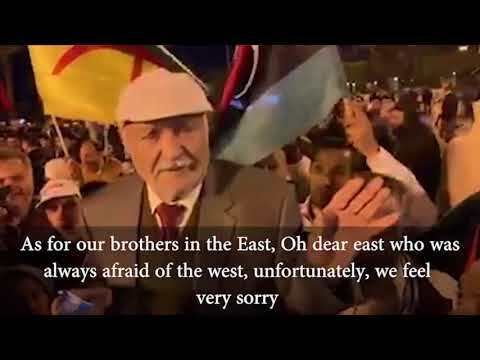 The Tripoli-based Presidential Council (PC) has issued a statement denouncing the orders of east-based self-styled army to advance on the western region and the capital, saying it is very saddened by such an escalation that deprives Libyans of their rights to security and peace. 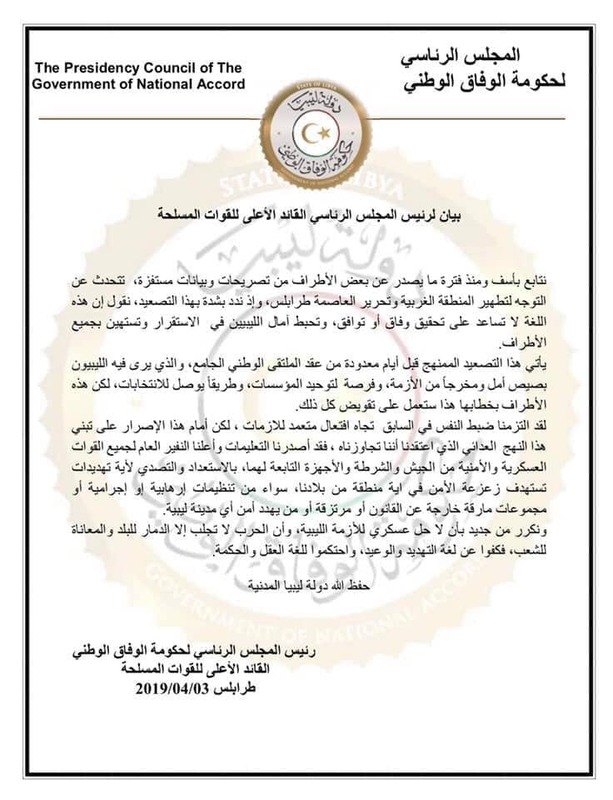 The PC's statement said "the provocative announcements of certain parties ordering their forces to liberate the capital" is not the language needed at this time and won't help Libyans build their country. 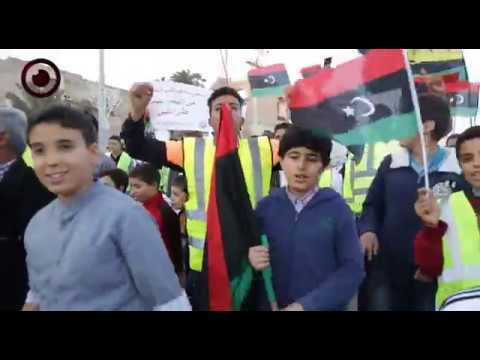 The PC said it had ordered all forces - military, police and security personnel - to be mobilized and on high alert to thwart any attacks by terrorist, criminal, outlaw, or mercenary groups in any area across Libya. "This is to stand tough against the insistence on adopting such a violent approach by those parties who made the provocative announcements." 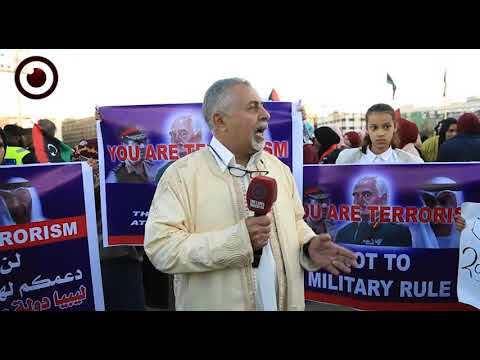 The PC said, referring to Khalifa Haftar's forces, without naming them. 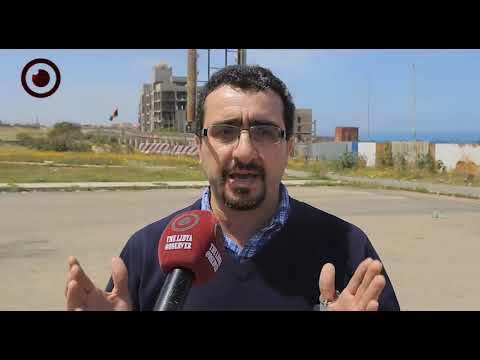 It added that this escalation comes days before the holding of the Libyan National Conference in Ghadames city, which would give Libyans hope to build their future through democratic elections. "There can be no military solution to the crisis as war brings only destruction, so all should stop using the rhetoric of escalation and replace it with wisdom." The PC remarked. 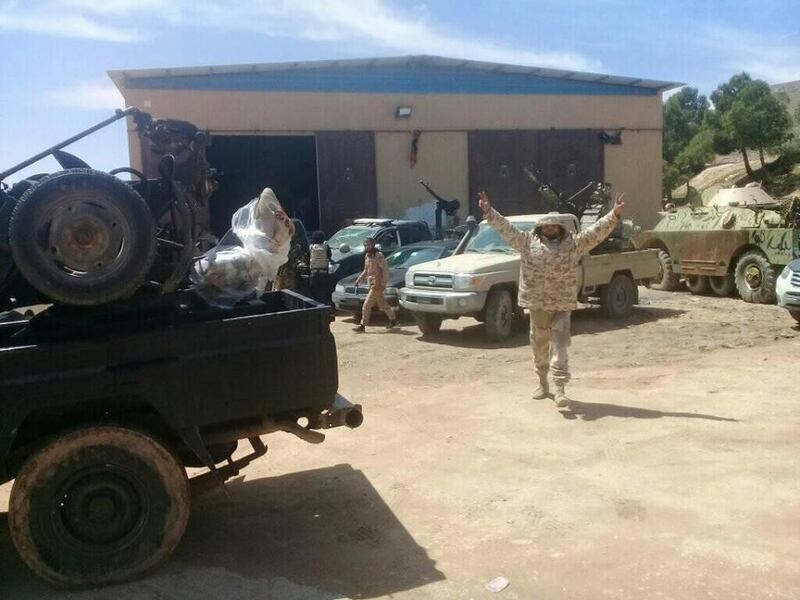 This comes hours after the military media office of the self-styled army in eastern Libya, which is under the command of Khalifa Haftar, had announced that their forces started advancing on western Libyan cities and districts in order to "purge the remaining terrorist groups in the region."